How To Deposit Bitcoins Into One Exchange From Another? Home › Bitcoin Exchange › How To Deposit Bitcoins Into BTC-e? Hi everyone, Jonathan here with a quick update on how to deposit bitcoins from one exchange to another. 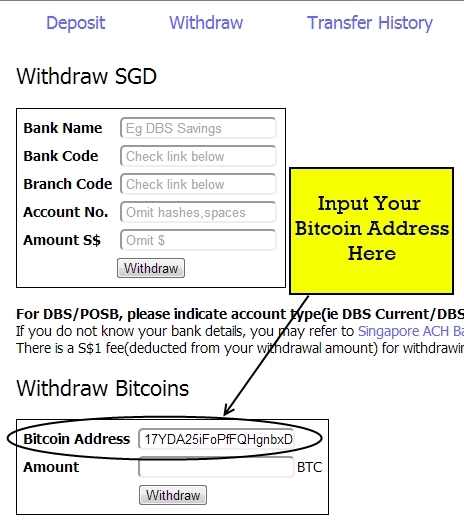 In this example, I will be withdrawing bitcoins from my local exchange FYB-SG to my BTC-e account. First of all, you have to log in to your account in the exchange that you would like to deposit the bitcoins into to get the bitcoin address. In this example, it would be BTC-e.
Once you have logged in to BTC-e, go to Finances. Under the Funds section, look for Deposit in the BTC column. 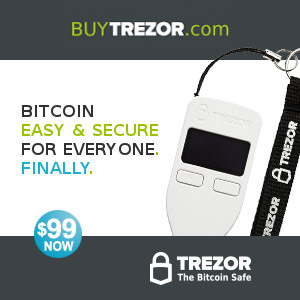 Here you will find your bitcoin address at the bottom of the webpage. This will be the address that you will put into the withdrawal section of the exchange that you would like to withdraw from. Next, I will log in to my FYB-SG account. Here, I will look for the Withdraw section. Here, you will be able to input your bitcoin address into the Withdraw Bitcoins section. Next, you can select the amount of bitcoin that you want to withdraw. Hit the Withdraw button and you will receive a confirmation email from the bitcoin exchange. Here, you have to click on the link in the email to proceed with the transaction. Then you will receive an email confirming that the withdrawal has been processed. Then, you just need to wait for a couple of hours for the bitcoins to appear in your deposited exchange. In this case, mine would be btc-e. Note: There is a transaction fee of 0.0005 BTC for both the withdrawal from FYBSG and deposit into BTC-e. Hence, the total transaction fee will be 0.001 BTC.